The official launch of Samsung Galaxy S8 and S8 Plus has unveiled the launcher and app icons, a couple of weeks before. Since Samsung Galaxy S8 is now offering Infinity Display and a complete redesigned interface, it has been great to gaze upon a whole new Samsung’s line of interface. The screen appeared to be large and there’s absolutely no app drawer anywhere on the screen. This means the S8 is going to offer a widely different launcher from the one found in Galaxy S7 and S7 Edge. Make sure to check out Best 3D Launcher Apps for Galaxy S8 / S7 Edge / Android Nougat 7.0. If you are impressed with the Galaxy S8 Launcher and Bixby AI, you don’t have to wait for Galaxy S8 to be available in the market, you can get the same launcher of the new flagship of South Korean Giant on your Samsung Galaxy S7 / Edge with Android Nougat 7.0. Yes, you have heard it right. You can now enjoy the ultimate new S8 Launcher on your Nougat powered Galaxy S7 or S7 Edge now, without any need to root your phone. It just takes a few minutes to get the “just launched Launcher” of S8. Follow the simple steps outlined below. The first thing that you will need to transform your launcher from S7 to S8 is to get .apk file either from (https://drive.google.com/file/d/0B4UHx5ZkkDSPSGpsMXJ4NWVhYlE/view?usp=drivesdk) or from XDA directly on your Galaxy S7 or on your PC and then transfer it to your Galaxy S7 phone. 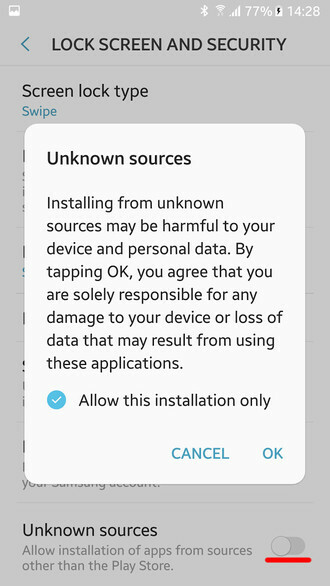 After downloading the file, open the file and you will be prompted to “Enable Installing Apps from Unknown Sources” pop-up. You can do so by tapping “Settings” and switching to the “unknown Sources” toggle. 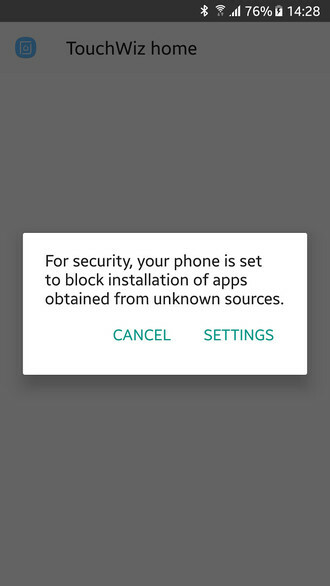 Another dialogue box will appear and will ask your permission to allow installing applications from unknown sources or use it for his installation only. Doing this will update the existing TouchWiz Home. Press the Home Button and you will see a completely new launcher of Samsung Galaxy S8. However, if the launcher crashes, just open the Setting app, go to Applications tab and choose the TouchWiz Home then Settings and clear all the data and cache. If you don’t like the launcher of Galaxy S8 on your S7 / Edge phone, you can simply uninstall by going Settings> TouchWiz Home and choosing the “Uninstall Updates” option.